Which is your favorite? Do you have any (simple) hair ideas you recommend I try? I need all the help I can get! They all look gorgeous!!! my favorite is the last 2 for sure!! I do love all of these hairstyles though! You must post pics if you decide to try any of them! fabulous hair inspiration. Loving the twists! 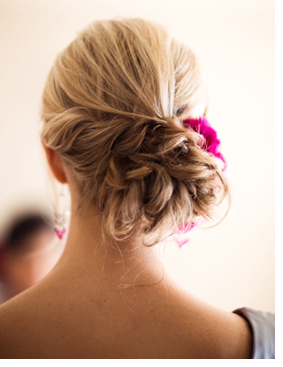 two favorites: the side chignon and the nape twist. very pretty! 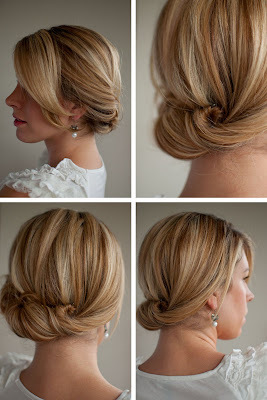 love that side chignon. so pretty. Pinning these immediately! I'm so bored with my hair, it's not funny. These are all great! It is hard for me to take the time to do my hair in any of these creative styles! i can do my hair just fine it i have to work it to work but when it comes to any special occasions i freak because i have no idea how to do my hair! thanks for the tutorials, my favorites are anything with the braid or the side chignon! I like the nape twist and pin. I'm glad you posted these links because I really want to keep my hair long but it's so boring, so this will help. The side chignon. I only wish I could do it! I came across that Refinery 29 image a while back. I'm pretty terrible at doing my own hair, but I made a point to pin that one because I feel like I could actually do that. I remember the days in high school when I use to wake up at 5:30am and do my hair in all kinds of cute ways. Now...forget it if I get out the bed long enough to even dry my hair. I have so been trying to get creative again with my hair and I am even trying to teach myself how to french braid....we will see how that goes! This are all very inspiring ideas! Love all these! I'm a total hair fixing idiot! Girl, me and you both. I am so terrible when it comes to my hair. The only thing I know what to do with it is wear it down! You might want to try some hair tutorials on Youtube. They're pretty helpful. Personally, I love Kandee Johnson because she explains it step by step. I would leave you a link, but I'm typing this on my phone. 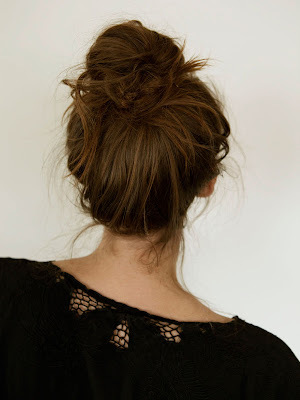 I actually tried that knotted bun one, but I was hopeless at doing it well. I'm loving braids this summer though! I'm horrible at putting my hair together for events. I have to pay someone else to do it! The last look is my favorite. My favorite (easy) hair style is to twist and pin two small front pieces back one one side of my head around my face, and just cross them so it looks fancier. That's hard to explain in words... hope it helps! That nape twist and pin is gorgeous!! I may have to try that one! And I've become obsessed with braids...my new easy go-to if I don't feel like having side bangs! I love all the little braids in the pony's.